Dance In Dialogue showing in Medford! Dance in Dialogue is an intimate performance series that showcases contemporary dance work or performance art pieces in the making. The forum highlights the creative process and supports artists by cultivating dialogue between artists and audience. D.i.D. builds community that supports diversity and inclusion through fostering out-of-the-box ideas and risk-taking. 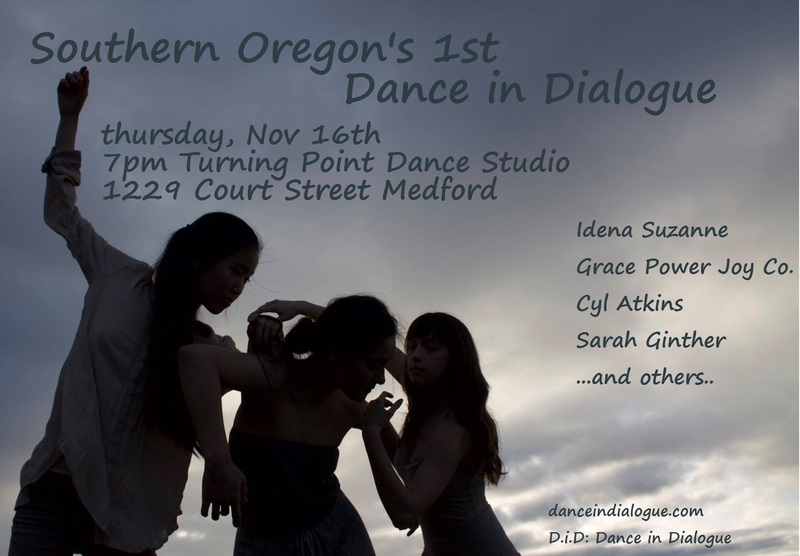 Originating in Eugene, Oregon, this is a first time branch event happening in Medford. Admission Free, $5 suggested donation. This entry was posted in Uncategorized on November 11, 2017 by danceindialogue.